The neighborhood of Carmel Woods is situated above and north of downtown Carmel-by-the-Sea. In this peacefully quiet and forested neighborhood you will find homes that not only offer views and spacious outdoor living, but true Carmel value. This gem of a neighborhood offers affordability while boasting privacy, close proximity to dining and shopping, and access to the excellent Carmel Unified School District. The neighborhood is bordered by Valley Way to the South, Pescadero Canyon to the north, Hwy 1 to the east, and 17 Mile Drive to the west. Lot size and home square footage are larger on average than in surrounding Carmel neighborhoods. Homes are nestled among the oaks and Monterey pines, many with views to Point Lobos and Pescadero Canyon. Whether your tastes lead you to mid- century modern design or cottage charm, you will surely find a home to suit your needs and desires in Carmel Woods. Click here to preview all Carmel homes for sale in the Carmel Woods neighborhood. For all available Carmel real estate, click here. 25 homes sold in this neighborhood in 2018. The most expensive home was an Ocean view, 3 bedroom, 2.5 bathroom home with 2,918 SqFt of living space on a 9,000 SqFt lot, complete with a Chef’s kitchen and sold for 2.595 million. The least expensive home sold for 719K and was a 2 bedroom, 1 bathroom Carmel cottage with a 4,850 SqFt lot. 15 homes sold in this neighborhood in 2017. The most expensive home that sold was a 3 bedroom, 3 bathroom home with Ocean views and 2,043 SqFt of living space on a 11,326 SqFt lot. The least expensive home to sell was a 2 bedroom, 2 bathroom home with 1,540 SqFt of living space on a 8,550 SqFt lot. 21 homes sold in Carmel Hills in 2015. The most expensive home that sold was a renovated 1935 “cottage” with Ocean views and featured 4 bedrooms, 3.5 bathrooms, 2,585 SqFt of living space on .21 acres and sold for 2.095 million. The least expensive home sold for 600K, this Carmel cabin featured 3 bedrooms, 2 bathrooms, 838 SqFt of living space on .161 acres. In 2014, 19 homes sold in this neighborhood. The most expensive home that sold was a 3 bedroom, 2.5 bathroom residence with 2,540 SqFt of living space on .156 acres and sold for 1.8 million. The least expensive home sold for 475K, this Carmel bungalow featured 1 bedroom and 2 bathrooms, 651 SqFt on .17 acres. 19 homes sold in Carmel Woods in 2013. The most expensive home sold was a 3,603 SqFt home on 17,800 SqFt of land, which sold for $2.25 million. The least expensive home sold for 615K and was a 1,979 SqFt home on a 6,200 SqFt lot. In 2012, 17 homes sold. The most expensive home sold for 1.43 million and was located on Upper Trails. This 3,600 SqFt estate had spectacular views of Point Lobos and the Santa Lucia mountains and was located on 1.6 acres of land. The least expensive home sold in the neighborhood was also located on Upper Trails, with 1,750 SqFt of living space on an 11,985 SqFt lot. For a detailed analysis of Carmel real estate sales, check out our monthly Community Market Reports. 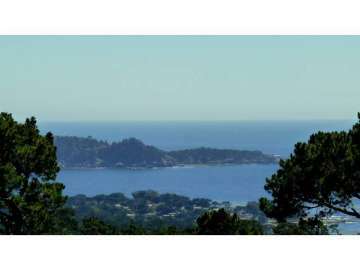 When you are a homeowner in Carmel Woods you will enjoy breathtaking sunsets, gorgeous views over Pebble Beach to Carmel Bay and Point Lobos, and the luxury of being situated in close proximity to the best that Carmel living offers. You will feel a sense of relaxation and calm in your quiet neighborhood where you can escape life’s frantic pace and recharge. You will enjoy your easy drive into Pebble Beach to play golf on one of its 7 world renowned golf courses, and will be able to take advantage of all of the fabulous events on the Monterey Peninsula.